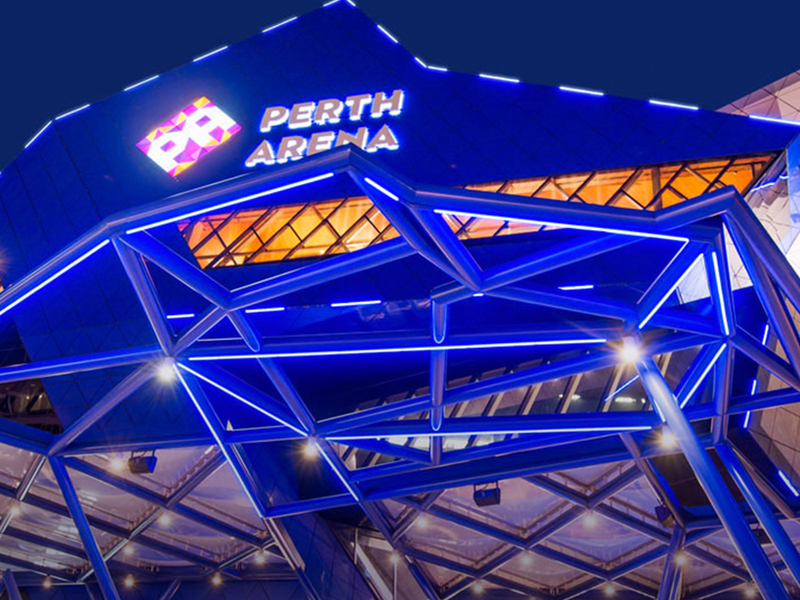 PLAYED ACROSS AUSTRALIA, SUNSCORP SUPER NETBALL HAS SOME OF THE BEST VENUES TO MAKE THE MATCHDAY EXPERIENCE THE BEST EVER. 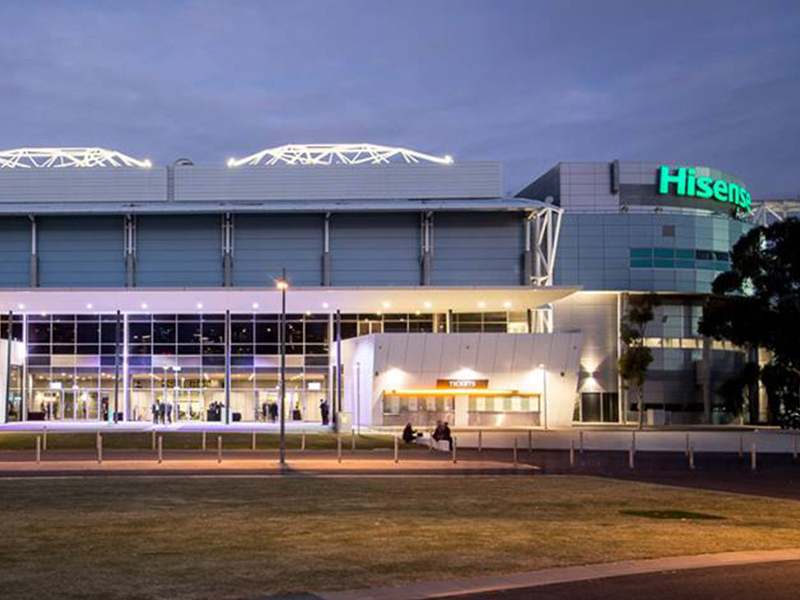 Hisense Arena extended Melbourne Park and its capacity to handle ever increasing crowds, whilst also satisfying demand for another flexible multi-purpose venue. The phenomenal indoor/outdoor facility is enviably positioned between Melbourne’s thriving central business district and the busy inner city suburb of Richmond, with the convenience of both public transport and car parking options available. 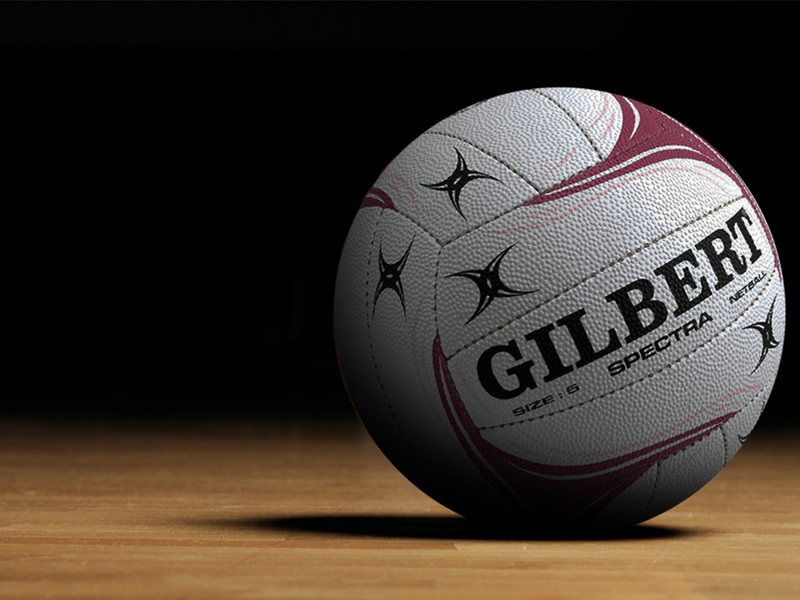 A world class netball venue, Priceline Stadium is the home of the Adelaide Thunderbirds. 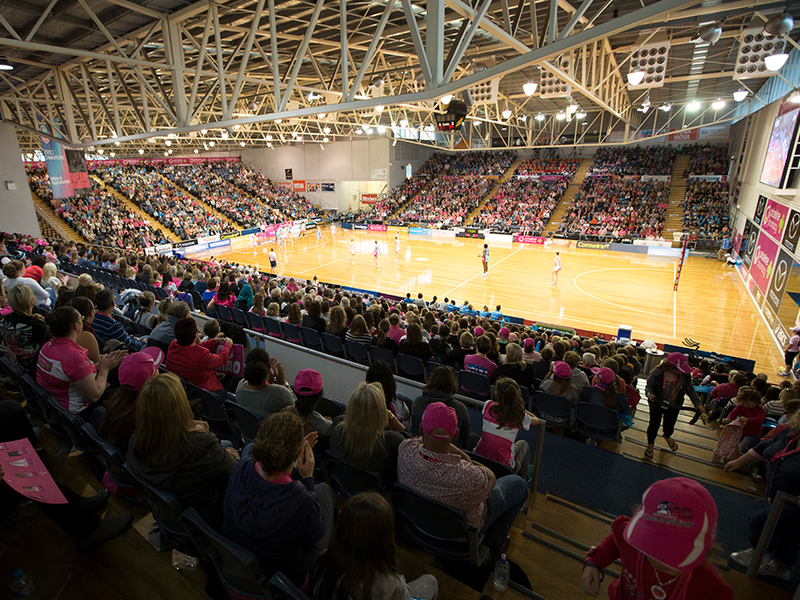 Priceline Stadium features four indoor courts, which seat up at 3200 people, and 26 outdoor courts utilised by netball clubs from across the state. Along with hosting the Adelaide Thunderbirds games, International Test Series with New Zealand, South Africa and England, have also been played at the venue. The stadium also boasts corporate boxes, canteens and parking for 750 vehicles, creating a first-rate facility for netball fans. Priceline Stadium is located at Adelaide’s International Sports Gateway – a two-minute drive from the city and a 10-minute drive from Adelaide International Airport. Corner of Olympic Boulevard and Edwin Flack Avenue, Sydney Olympic Park. 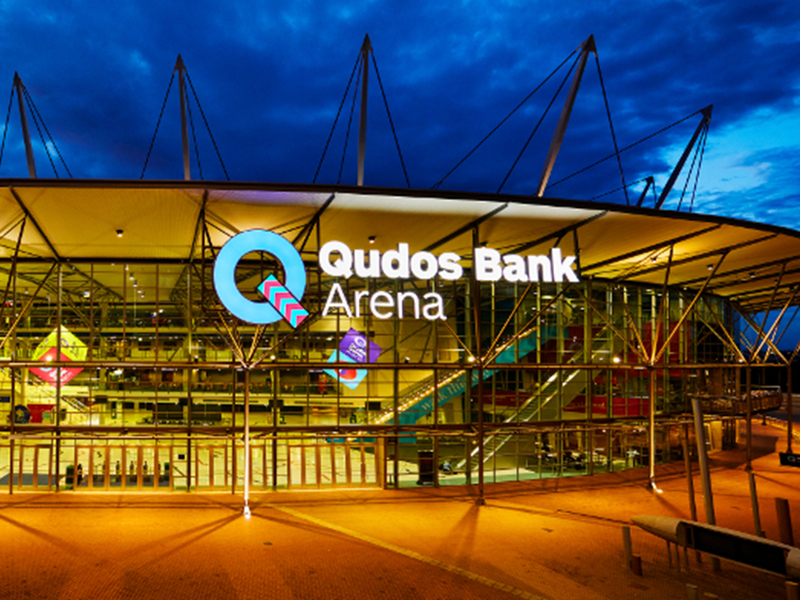 Qudos Bank Arena is the largest indoor Arena in Australia that can accommodate up to 21,000 visitors, 18,000 spectators for a netball game. It recently ranked number one for the highest record selling venue in Australasia. Originally built for the Sydney 2000 Olympic Games, it has now established itself as one of Australia’s major concert venues. 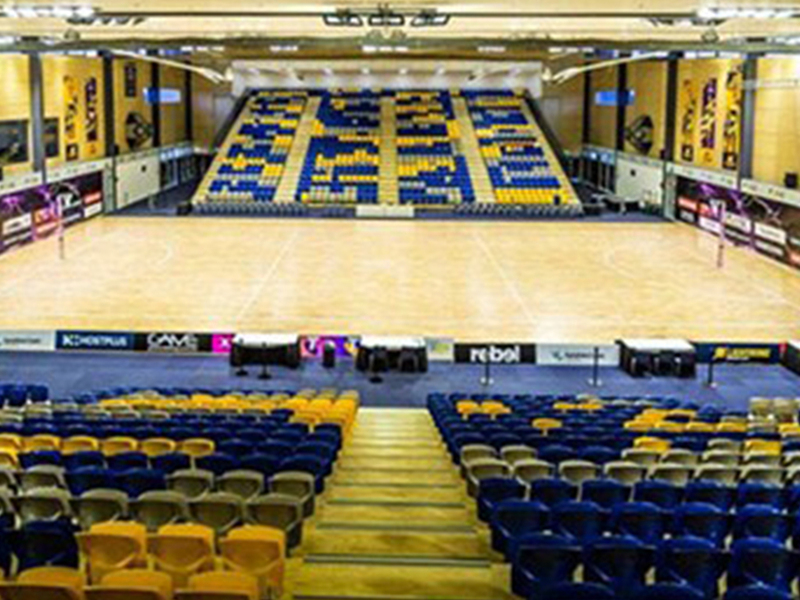 This colossal Arena has played host to a number of international superstars including International Netball. Qudos Bank Arena is a home venue to both the NSW Swifts and GIANTS Netball, due to the capacity it has the capability to host both Double Header and Derby matches. 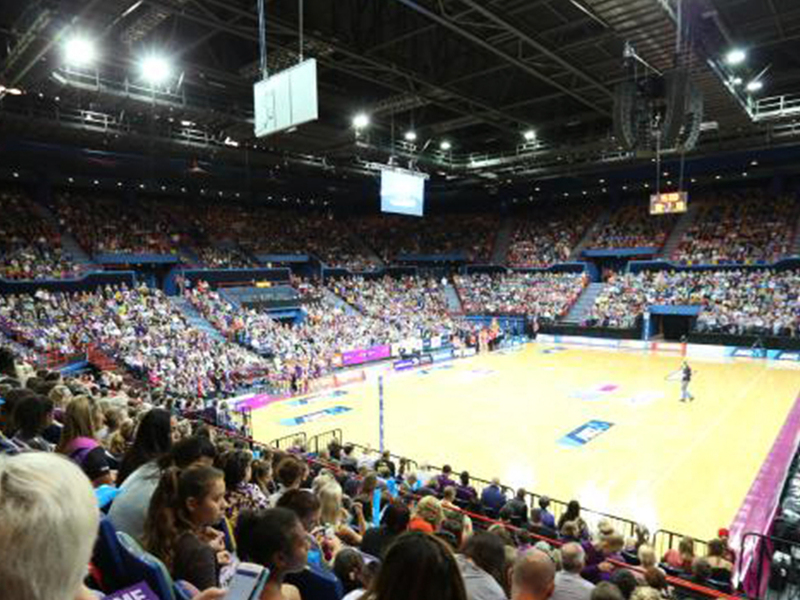 In 2017, the inaugural year of the Suncorp Super Netball competition the venue set the record for the two largest crowds in Round 9 and 14. The Brisbane Entertainment Centre was built by the Brisbane City Council as a world class multipurpose facility which formed part of Brisbane’s bid for the 1992 Olympic Games. Designed into the Main Arena seats is 1788 – 1988 which represents the Bi-Centenary year. Primarily recognised as a venue to host concerts, family shows and sporting events, the Brisbane Entertainment Centre also specialises in staging corporate events in particular conferences, seminars, product launches and gala banquets. The Centre has hosted a diverse range of events including Monster Trucks, Supercross, Circuses, Bull Riding, Concerts, Conventions, School Speech Nights, Ice Spectaculars, Wrestling and Boxing, and is of course home to the Firebirds netball team. University of the Sunshine Coast’s $15 million indoor Sports Stadium (USC Stadium) located at the Sippy Downs campus is a boutique venue which is home to the Suncorp Super Netball (SSN) premiership-winning Lightning. As well as using the facility as its primary training base, the Club will play all seven home games at the Stadium in 2018. With a capacity of 2,200, each and every spectator has a close-up view of the action in what has become a fortress for the SSN inaugural champion. The venue has two sets of retractable seats totalling 2,042 plus corporate seating. The retractable seating is stored (retracted) at either end of the Stadium allowing for all three netball courts to be use when required. When in place for game/event day, the seating extends over courts 1 and 3, to enable court 2 as a show court. Perth Arena is an entertainment and sporting arena in the city centre of Perth, Western Australia near the site of the former Perth Entertainment Centre, and was officially opened on 10 November 2012. It is the current home of the West Coast Fever netball team. The Perth Arena was jointly designed by architectural firms Ashton Raggatt McDougall and Cameron Chisholm Nicol. With its design based on the Eternity puzzle, the venue has a retractable roof, 36 luxury appointed corporate suites, a 680-bay underground car park, 5 dedicated function spaces, and touring trucks can drive directly onto the arena floor. Sitting in the heart of Melbourne’s most celebrated sporting precincts is one of the finest stadiums, Margaret Court Arena. 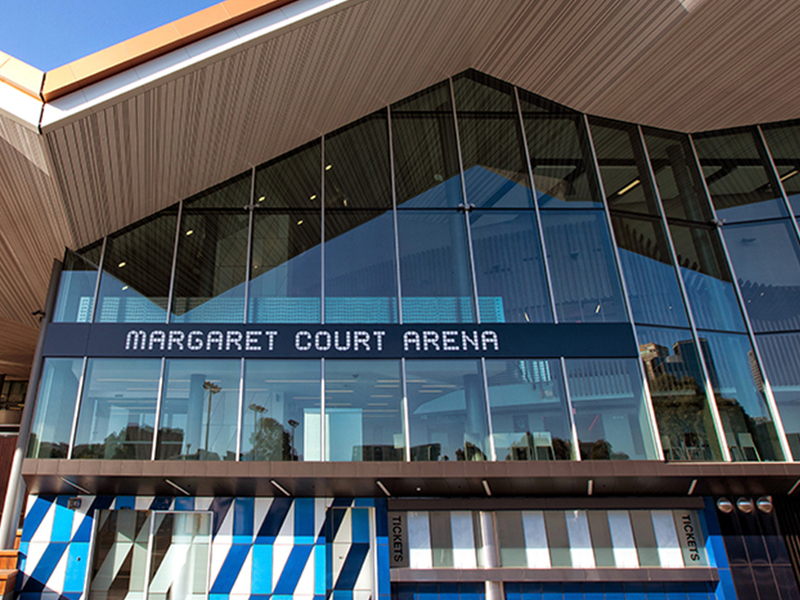 After undergoing a significant redevelopment in 2010, Margaret Court Arena is now a premium venue for corporates and spectators alike, and is renowned for its state of the art video screens, sound systems and for housing one of the world’s fastest retractable roofs. In 2018, Magpies Netball will have the privilege of calling Margaret Court Arena their home in the Super Suncorp Netball league. A short walk from the Holden Centre, Margaret Court will welcome in one of netball’s most passionate and growing support bases, the Magpie Army. Quaycentre (formally Sydney Olympic Park Sports Centre) is one of Sydney’s most versatile venues. Built in 1984, the Arena readily adapts to host a range of different events such as conferences, concerts, exhibitions and dinners but most importantly – utilised as the home grounds for the NSW Swifts, and GIANTS Netball.